The second Michigan State football game of the season was on TV a couple of weeks ago. Wendy’s husband is a die hard fan. He’s also a die hard griller. He decided to have a family football party and grill up some fresh veggie and steak kabobs on his new skewers that he’d purchased at the end of the summer clearance sales. There was no way he was waiting until next summer to try them out. 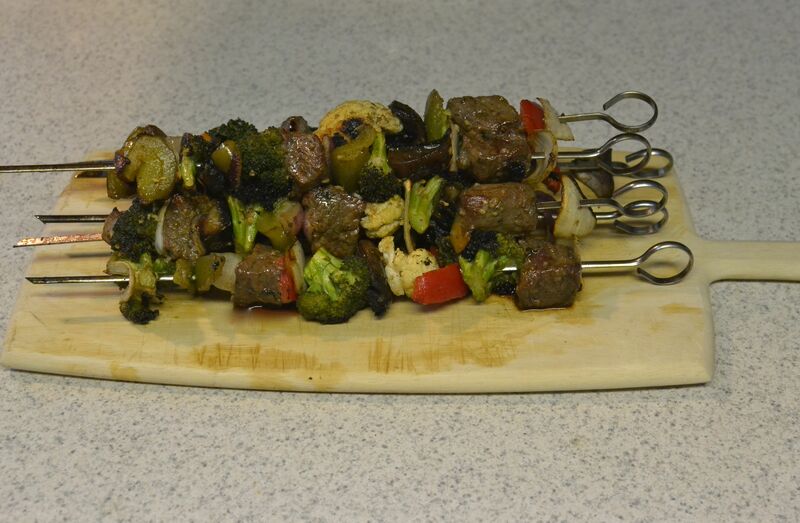 My brother-in-law’s kabobs – stay tuned to future blog entries for this recipe and other great recipes from him. I’d been wanting to try one of my Grandma Dora’s many cake recipes and I thought this would be a festive occasion to which I could bring a cake. Besides, what’s a football party without cake anyway?! I knew all of Grandma Dora’s cake recipes called for cake flour. I had finally bought some at the Amish store when we were up north (the same time I bought the whole wheat pastry flour for the graham bread). 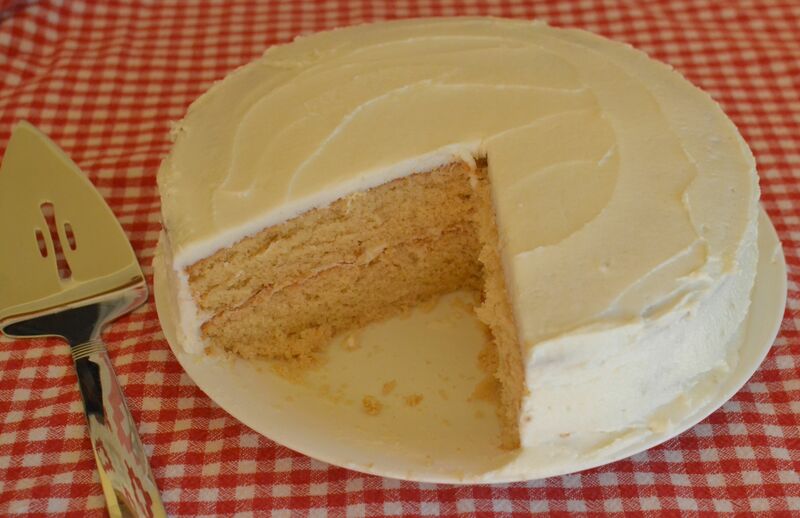 I pulled out a delicious sounding recipe, Butterscotch Cake. Beat 2 more minutes. Bake 30 to 35 minutes at 350 degrees. 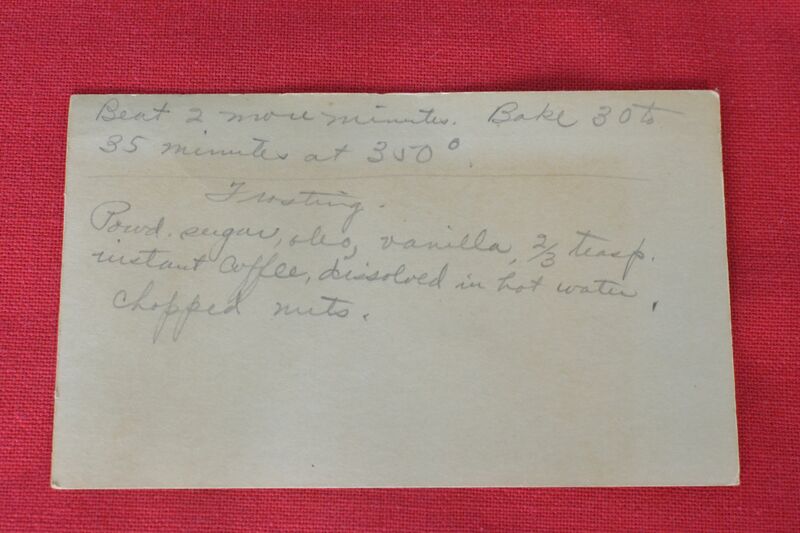 In the corner of the recipe, there was the name, Edna. As always, I was curious about Edna – who she was and how my grandmother knew her. I think she may have had a friend name Edna, but I’m wondering if this Edna was my grandfather’s stepmother’s sister. 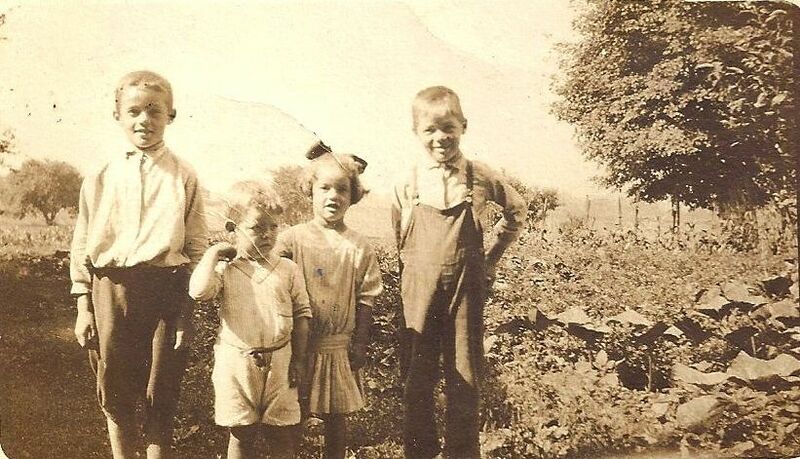 My grandfather with 3 of his 4 siblings (Roy, Paul, Dorothy and Ray) – Alfred was probably not born yet. When my grandfather, my Grandma Dora’s husband, was a little boy, his mother died. His father was a carpenter, but wasn’t able to care for my grandfather or his 3 brothers and sister. 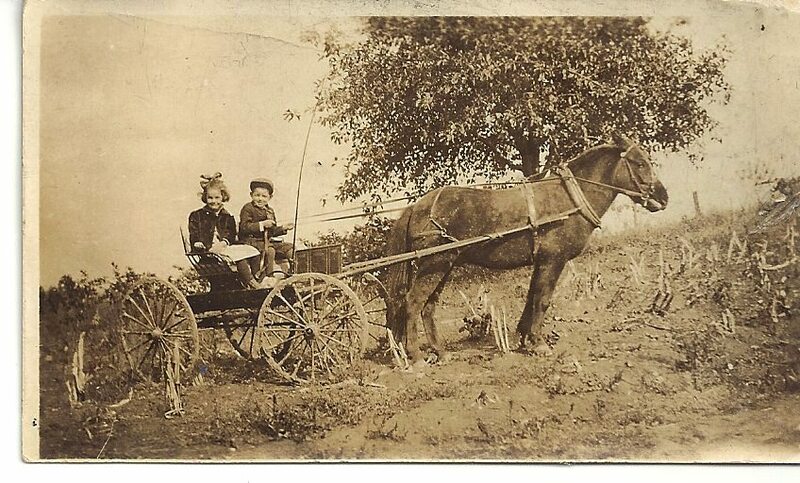 There weren’t day cares all over the place back then, so if you didn’t have someone who could move in and help you, you ended up “farming” your children out to relatives. That is what my great-grandfather ended up doing. My grandfather’s sister Dorothy and brother Paul. The oldest boys were twins Ray and Roy. Ray was my grandfather and he was sent to live with an uncle who was a farmer. This uncle mistreated him and he did not have a good childhood. Roy, his twin went to live with another family member. He had a better upbringing and trained to be a dentist while he was in the army. Next was Paul. He was also sent to live with relatives and had a good upbringing. He became an aeronautical technical writer. Dorothy, the only sister was next. None of the children were placed together, so she grew up with another family. She became a teacher. Lastly, there was Alfred. He became a farmer like my grandfather and then later in life became a carpenter. 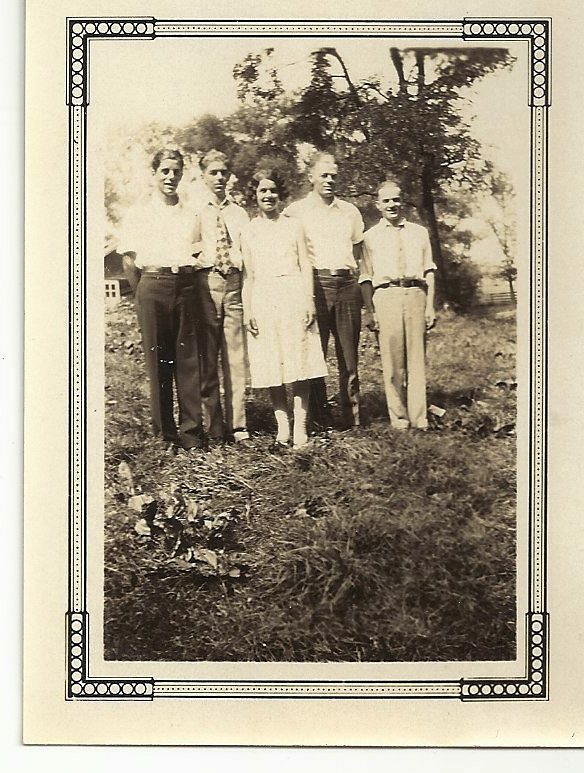 My grandfather and his sister and brothers (Alfred, Paul, Dorothy, Ray and Roy). 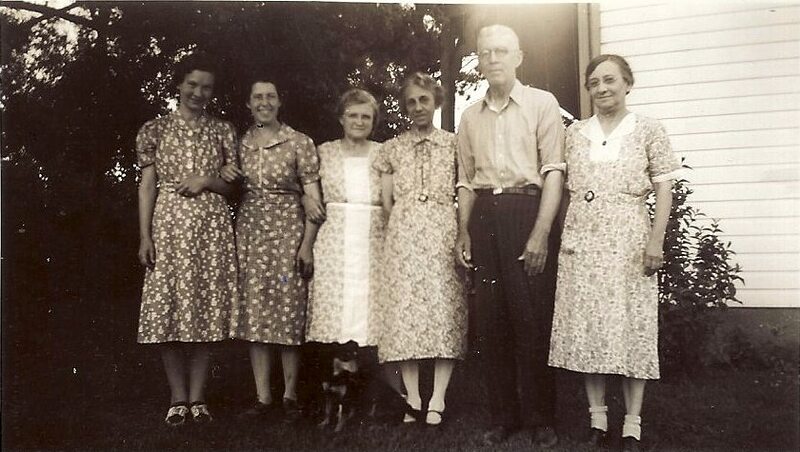 When the five children were older, my great-grandfather married again. Her name was Alma and she had a sister named Edna. My guess is that this is the Edna of the butterscotch cake. I could be wrong, but it makes a better story than just saying that Edna was a random neighbor. Alma and my great-grandfather, Albert lived in southeastern Ohio. Edna was not married and lived with them. When my dad was about 9 or 10 years old, he also lived in southeastern Ohio. He remembers going over to his grandparent’s house on summer nights and sitting on their porch. (My dad said he remembers that on the front steps of that porch he tried cinnamon graham crackers for the first time. They had just come out. They must have made a big impression on him because he still likes to eat them to this day!) Perhaps the ladies talked over recipes as they sat on the porch and maybe they even shared butterscotch cake as they visited together. 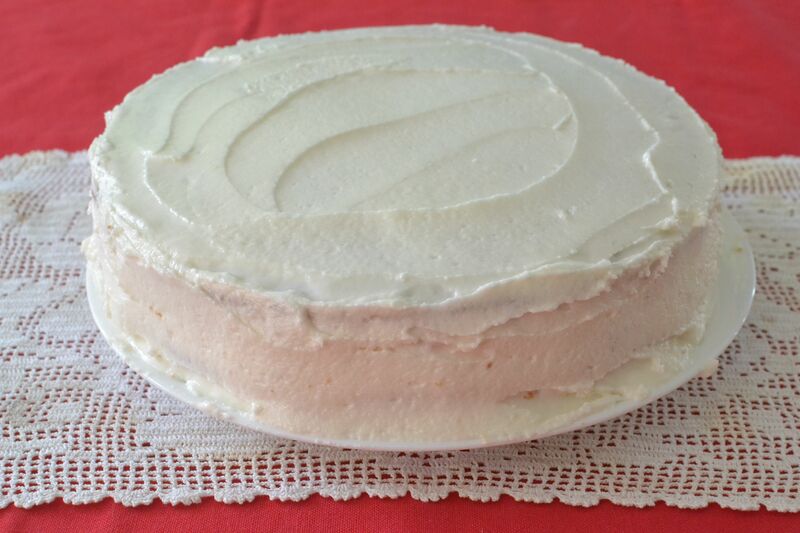 I have not made a cake from scratch many times, but putting this recipe together was quite simple. 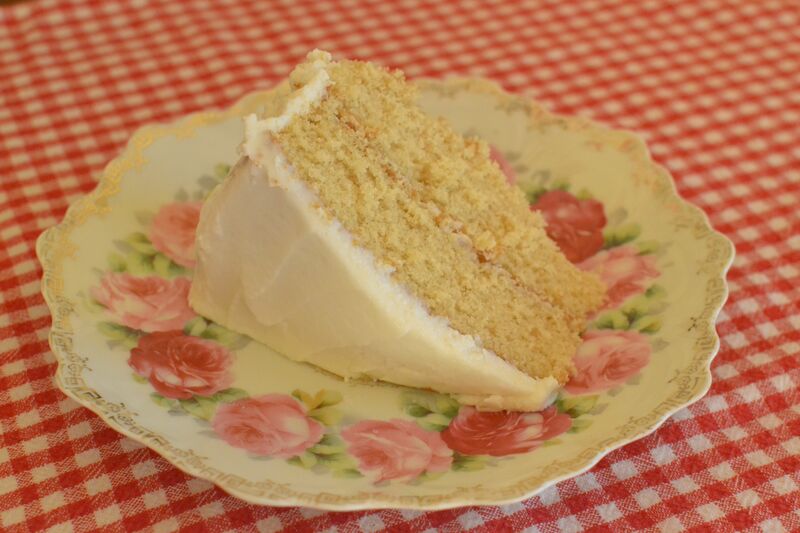 The cake had a bit of a crumbly texture, but I think that is pretty common with cakes made from scratch. I did not end up making the frosting that was recorded with the cake as I am not a coffee fan. If you like coffee, though, I imagine it would compliment the cake nicely. The cake ended up being a hit with all of the football fans that evening. Michigan State may not have won the game that day, but we knew we had found a winning recipe! 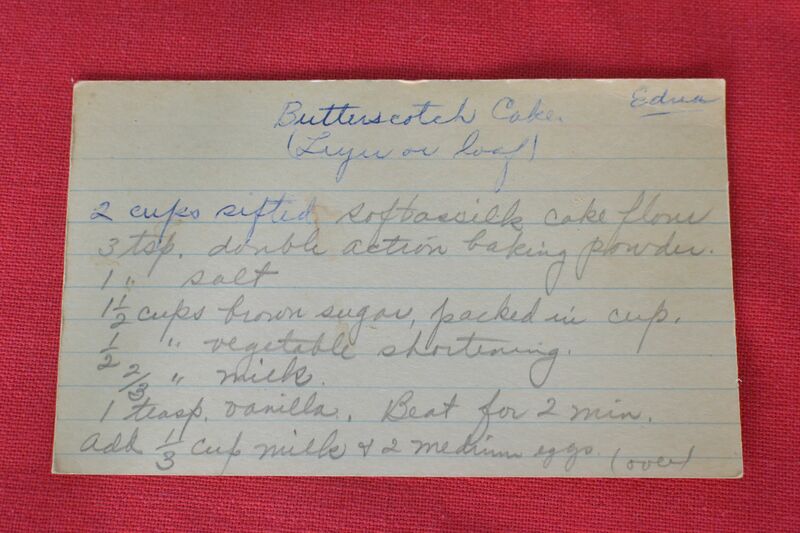 This entry was posted in Cake and tagged baking, butterscotch, butterscotch cake, cake, dessert, farm cooking, grandma's cooking, homemade, scratch cooking by GrandmothersRecipeBox. Bookmark the permalink.